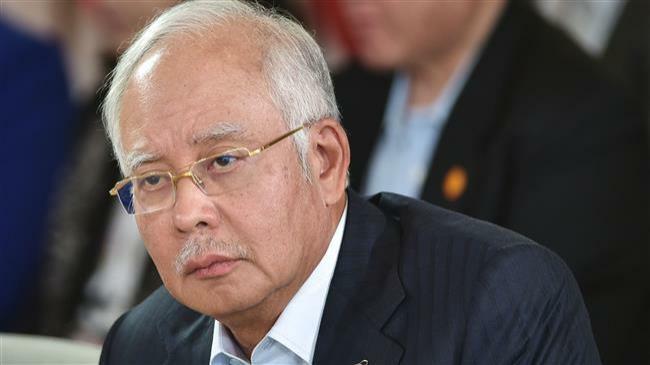 KUALA LUMPUR, May 21, 2018 (AFP) - Malaysia on Monday set up a task force to probe allegations that billions of dollars were looted from sovereign wealth fund 1MDB in an audacious fraud overseen by ousted leader Najib Razak. New Prime Minister Mahathir Mohamad led a reformist alliance to a shock victory at the May 9 polls over Najib‘s coalition, which had governed Malaysia uninterrupted for over six decades. A major reason for the success of 92-year-old Mahathir was public disgust at allegations of endemic corruption among the country’s ruling elite, and in particular an explosive scandal surrounding state fund 1MDB. Since Najib‘s ouster, Malaysians have been gripped by a series of police raids on properties linked to the ex-leader, which have yielded a stash of hundreds of luxury handbags believed to belong to his despised wife Rosmah Mansor, as well as suitcases stuffed with cash and jewels. Mahathir -- who first served as premier from 1981-2003 and came out of retirement to take on Najib -- had pledged to reopen probes into 1MDB. The new task force will be charged with seizing back assets and pursuing legal action against those suspected of breaking the law in relation to the fund, said the prime minister’s office. “The government hopes the setting up of this task force, comprising a multi-agency enforcement unit, will help restore the dignity of Malaysia that has been tainted by the 1MDB kleptocracy scandal,” said Mahathir‘s office. The task force will include representatives of the anti-graft agency, the police and the attorney-general’s office. Some of those on the body were part of previous probes into the controversy but were pushed out by Najib‘s regime as he moved to shut down domestic investigations. Several current and former senior government officials will lead the task force, including Abdul Gani Patail, the former attorney-general who was removed from his post in 2015 as he was leading investigations into 1MDB. Huge sums of money from the fund are believed to have been funnelled round the world in a complex web of transactions, and the task force’s remit will include reaching out to law enforcement agencies in other countries, including the US, Switzerland, Singapore and Canada, according to Mahathir‘s office. The US Statement Department alleges in civil lawsuits that $4.5 billion was stolen from 1MDB and sent to the United States, where it was spent on funding the Hollywood film “The Wolf of Wall Street” and lavish purchases including Monet and Van Gogh paintings. The ex-leader, 64, sought to mount a fightback over the weekend, insisting he had not stolen any public money during a speech to hundreds of supporters in the constituency where he has been an MP for decades. Mahathir, a former mentor of Najib who turned on him over 1MDB, is determined ro breathe new life into democratic institutions that suffered under the ex-premier’s increasingly authoritarian rule and usher in a new dawn for the country. In a speech to civil servants Monday, Mahathir said that Malaysia‘s debt had ballooned to more than one trillion ringgit ($251 billion). “We must realise that before our country was respected, but now it is no longer respected,” he said.